Neodymium Magnets, Electricity & Magnetism: Educational Innovations, Inc.
~0.47 in. x.75 in. x 1.3 in. ~0.125 thick x 0.5 in. dia. 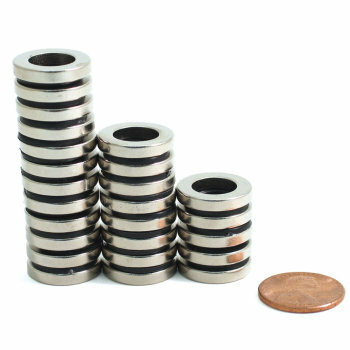 Includes a fantastic assortment of our most popular neodymium magnets which work well with all of our Extra-Large Eddy Current Tubes. 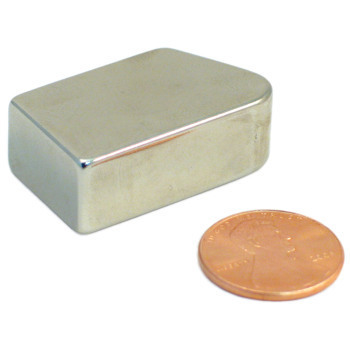 Neodymium rare earth magnets are the strongest permanent magnets in the world! Made from neodymium, iron, and boron, these magnets are sure to stick to anything ferromagnetic - including computer gear and credit cards, so be careful! They can be used for a variety of incredible experiments, such as removing the iron from fortified breakfast cereal, and attracting the magnetic ink in a dollar bill. 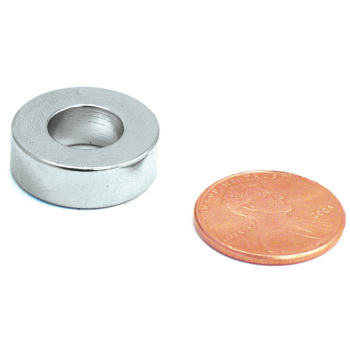 These magnets are used in computer disk drives, motors, and loud speakers. Not intended for children under 12 years. 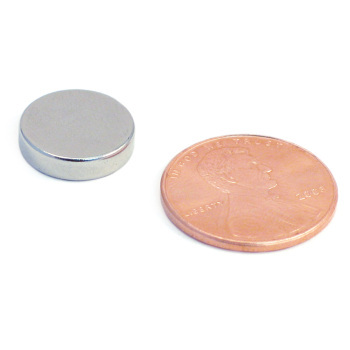 Note: All Rare Earth magnets, such as neodymium magnets, are made of a ceramic and can be brittle. They are extremely strong magnetically must be handled with caution to avoid damage to the magnets and/or injury. Fingers can be pinched between attracting magnets and magnets can chip or break if allowed to "jump" at an attracting surface or another magnet. Close adult supervision is required. These magnets are so strong that they will give you a pretty good pinch if you are not careful. If they do slam together they will splinter so you have to be careful. I would highly suggest also getting some magnetic putty to use with these. SO much fun. Oh, and don't use iron fillings on these without some kind of barrier. It takes forever to get it off! 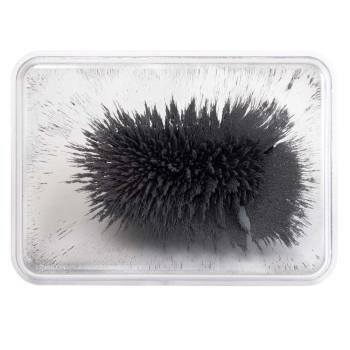 These are extremely strong magnets that are great for demonstrations. They should be used with caution because you can easily get pinched between two of them. If you allow students to handle them then I suggest only using one to limit them being pinched in between two of them. The magnet is awesome but a bit large and could be dangerous if not used wisely. 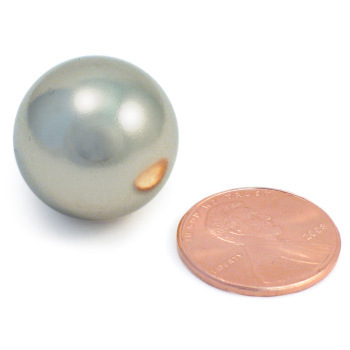 Owner Response: Neodymium magnets are incredibly powerful and should always be used with caution. These magnets are not meant to be used by children. Students can use the Neo Ring Magnets to plan and conduct an investigation to compare the effects of different strengths or different directions of pushes and pulls on the motion of an object. Students can use the Neo Ring Magnets to investigate and analyze data obtained from testing different materials to determine which materials have properties that are best suited for an intended purpose. Students can use the Neo Ring Magnets define a simple design problem that can be solved by applying scientific ideas about magnets. Students can use Neodymium Magnets to ask questions about data to determine the factors that affect the strength of magnetic forces. 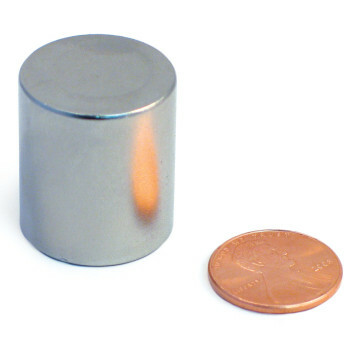 Students can use Neodymium Magnets to conduct an investigation and evaluate the experimental design to provide evidence that fields exist between objects exerting forces on each other even though the objects are not in contact. DCI-MS/PS3.C: Relationship Between Energy and Force. When two objects interact, each one exerts a force on the other that can cause energy to be transferred to or from the object. 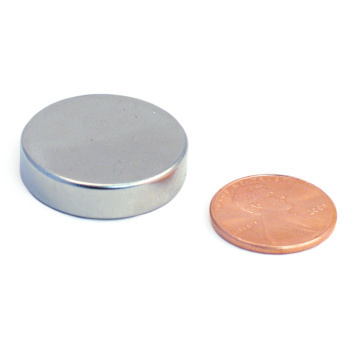 Neodymium Magnets can be used to develop and model how two objects interacting through magnetic fields, illustrates the forces between objects and the changes in energy of the objects due to the interaction. 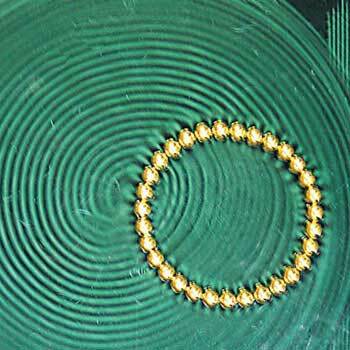 Students can use Neodymium Magnets in the design of a device that works with given constraints to convert one form of energy into another form of energy. 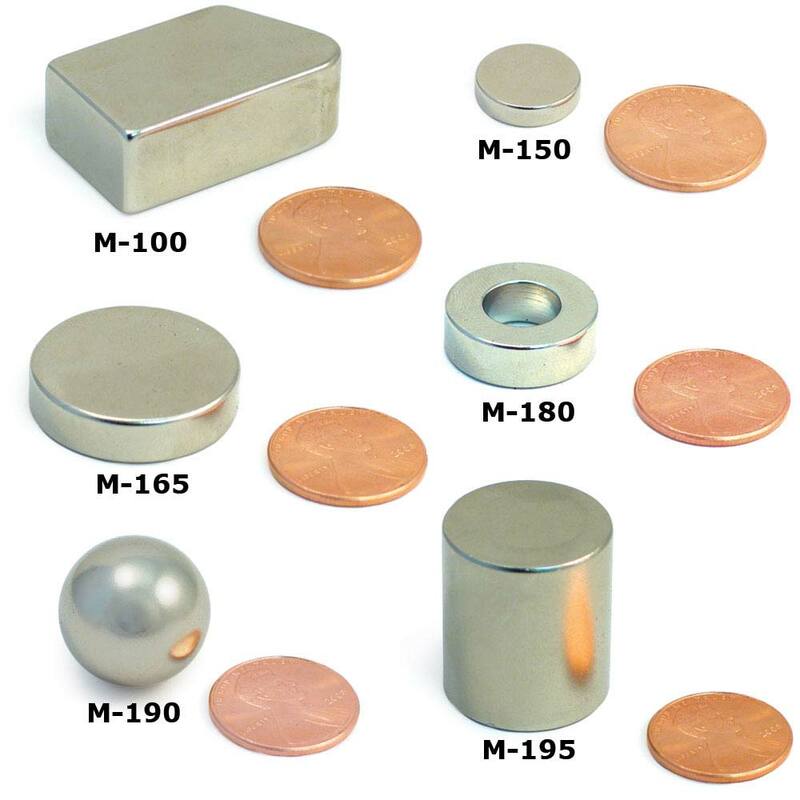 Investigations using the Neo Magnets can demonstrate the attraction and repulsion between electric charges at the atomic scale explain the structure, properties, and transformations of matter, as well as the contact forces between material objects. 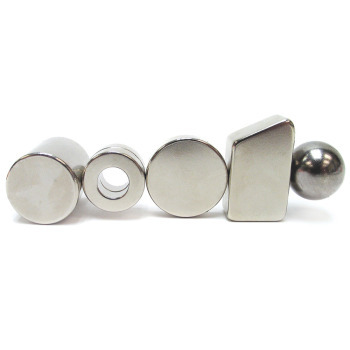 The super strong Neodymium Magnets are a wonderful tool to show the interaction of magnets. Students can use Neodymium Magnets in the design of a device such as a Rube Goldberg machine. Students can use the Neo Ring and other types of magnets to plan and conduct an investigation on the strength of the pushes and pull and exert on objects. Matter can be described and classified by its observable properties. 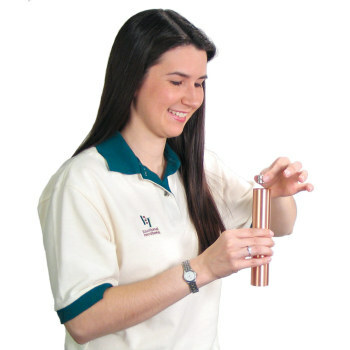 Students can use the Neo Ring to test for materials that are attracted to a magnet.